The best of British on your 12-night tour, passing the iconic Isle of Skye to a maiden call at Oban for famous whisky and superb seafood. Then to Dublin and Cork, the Channel Islands and Liverpool. The United Kingdom's premier passenger ship port, Southampton was home to the great transatlantic liners of yesteryear. The port serves as your gateway to Southern England’s magnificent historic sites, national landmarks, charming villages as well as the great metropolis of London. 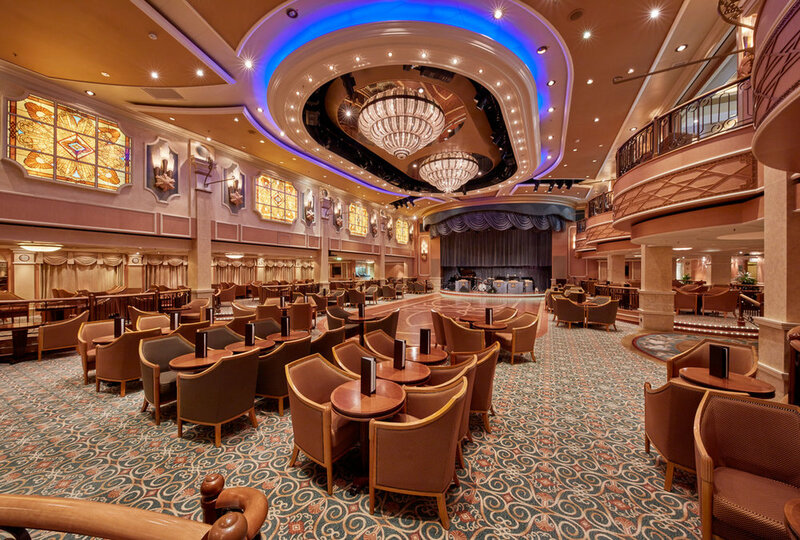 Southampton is the ideal starting or ending point for a memorable voyage. Greenock is your gateway to Glasgow, arguably Scotland’s most animating cultural city. It serves as a brilliant stepping-stone to some of Scotland's most rugged and breathtaking scenery to the north. As you disembark at Greenock to explore Glasgow, you will likely be greeted by the stirring sights and sounds of a traditional Scottish pipe band in full tartan regalia. Oban is host to some amazing Scottish scenery and wildlife. In and beyond its embracing harbor, you might spot grey seals, otters and puffins, before some delicious seafood and a bit of local whisky. As you sail by the largest of the islands, this is an opportunity to take in the rugged scenery of the history-rich Inner Hebrides, with endless miles of unforgiving coastline and some impressive inland scenery. Many have fought for control of this significant Gaelic island in the Inner Hebrides, mainly due to its strategic location, abundance of wildlife and its salmon-rich waters. Kirkwall’s Norse heritage stretches back almost a millennium, when the Vikings laid the foundations for St. Magnus Cathedral, the most northerly cathedral in Britain, and is built from local sandstone. Tune in to the history of the radio at the Wireless Museum or sample the island’s peaty single malts at the Highland Park Distillery. Dublin's winning charm is world famous. The dark waters of the River Liffey swirling beneath the Halfpenny Bridge transport you to a different age: the literary Dublin of Yeats, Shaw, Swift and Wilde. Explore to your heart’s content, from St. Stephen’s Green, down bustling O’Connell Street, to the welcome “craic” and Guinness of the hundred or more bars that dot this uniquely welcoming place. Liverpool is vibrant and modern, but with a taste of the ‘60s. Take a ferry across the Mersey for some great harbor views, or a Magical Mystery Tour of the city, commemorating The Beatles. Cobh is a quaintly charming seaside town built on a steep hill on the Great Island in Cork’s natural harbor. The town features colorful houses and the impressive spire of Saint Coleman’s Cathedral. Cobh was the departure point for almost half of the six million Irish people who left the Emerald Isle behind for a new life in North America between 1848 and 1950. Fortified against centuries of successful and foiled invasions, Channel Island Guernsey is dotted with wonderful castles and coastal defense forts. This quaint harbor is Guernsey’s charming capital. Narrow cobbled streets and granite houses rise in tiers up the hillside surrounding the harbor, where you’ll find Castle Cornet, the 13th-century fortification and its museums. Queen Elizabeth evokes the heyday of Hollywood glamour and elegance. Her wood panelling, gleaming chandeliers, marble flooring and beautiful decorative touches exude luxury. 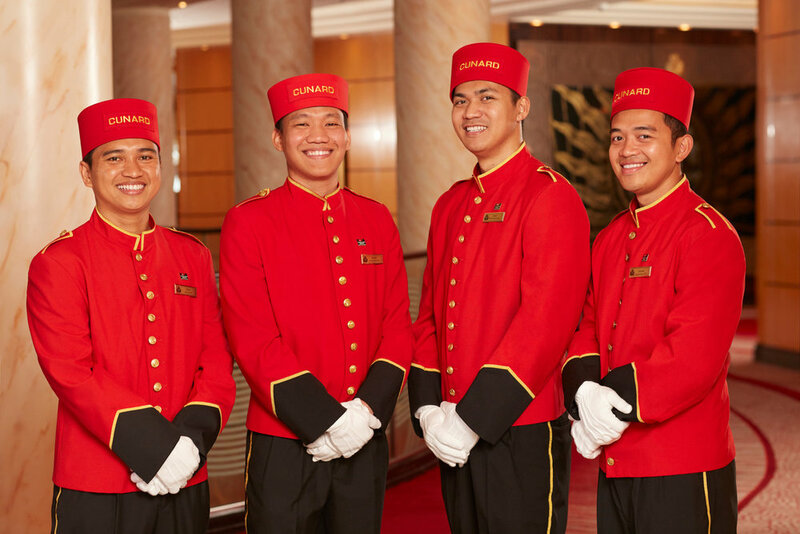 Some of the best restaurants at sea, sumptuous lounges and spacious suites and staterooms represent the very best of the Cunard experience. 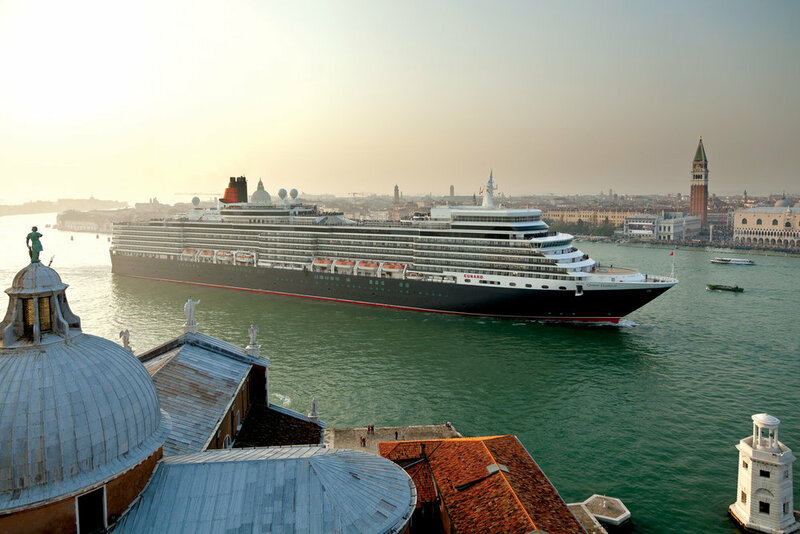 Queen Elizabeth offers plenty of open deck space to explore. The Garden Lounge, designed to have the feel of a Kew Gardens conservatory, is the perfect place to sit back, relax and soak up the sun. If you enjoy slowing the pace of life down a little, perhaps you’ll sample the spa, enjoy a watercolour painting class or take in a Cunard Insights talk. For something more active, try a fencing class or complete a few laps of the promenade deck. *Taxes, fees and port expenses of $163.59 are additional. 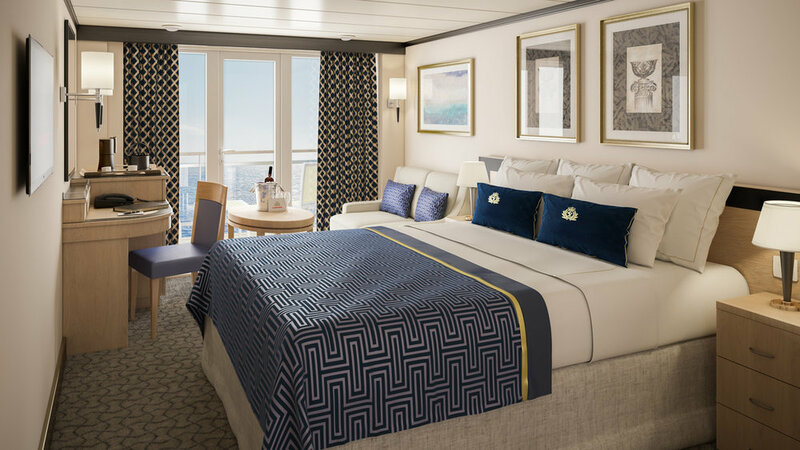 Fares are per person, do not include air travel, do not include taxes, fees and port expenses, are voyage only, based on double occupancy and apply to the first two guests in a stateroom. These fares do not apply to singles or third/fourth-berth guests. Fares are quoted in U.S. Dollars.